Last night was the first Ohio State Football game of the season. My husband is originally from Ohio, so he is a huge Ohio State fan, and our kids have followed suit. Although I’ve tried to like football, I really just look forward to fall foods, like chili, and the cool fall weather that comes along with the college football season. After my hubby and kids requested chili for dinner last night, I decided it was time to make a keto/low carb version since we would likely be eating chili while watching football all season. Yes, my family loves chili that much. I always brown my ground beef ahead of time, which makes cooking dinner so much easier. It took me less than 10 minutes to get all the ingredients together. Afterward, I simmered on low for about 2 hours so that the chili could thicken. It turned out so good! If you like your chili hot, I would suggest adding crushed red peppers, jalapenos, and hot sauce. Since I’m feeding a two-year-old as well, my hubby and kids add those ingredients separately. Do you want to know the secret ingredient to make your chili rich and bold? It’s curry powder. I learned this little trick from a friend and am now passing along to you. 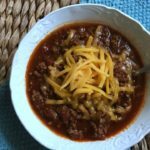 If you love cooking in the Instant Pot, check out this Instant Pot Keto Chili Recipe. 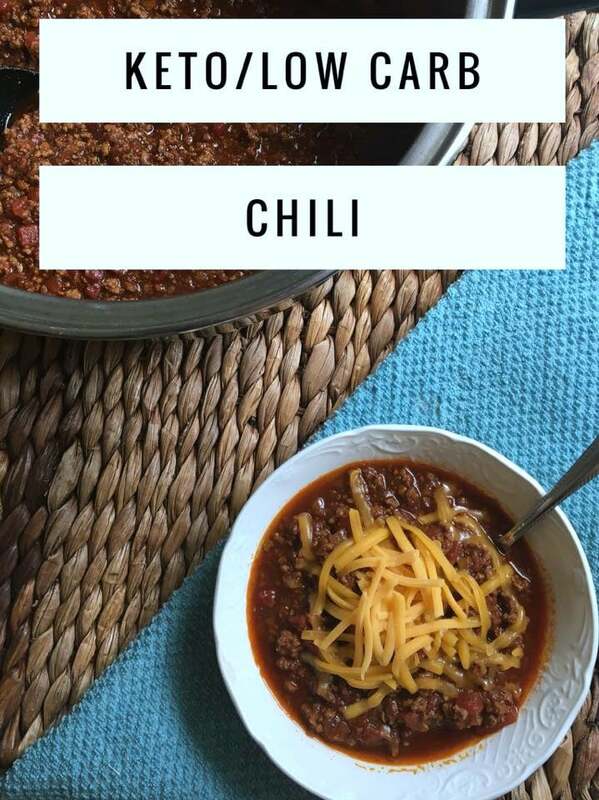 Do you want to know the secret ingredient to make your chili rich and bold? It's curry powder. I learned this little trick from a friend and am now passing along to you. Brown ground beef, onions, and minced garlic together in a large saucepan. Drain (if desired) then return to saucepan. Add all other ingredients to the ground beef mixture and bring to a boil. Reduce to low and simmer uncovered for 2 hours or until chili is thickened. Is TSP mean tablespoon and tsp is teaspoon? Yes – I have updated the post. Thanks! Tbls is the abbreviation for tablespoon. Tsp stands for teaspoon and Tbs stands for tablespoon. Looks great, but my guy isn’t a fan of curry… other suggestions? Or just omit? We also add extra veggies (cauliflower rice, diced zucchini, chopped mushroom) to add some bulk bc we miss the black beans! You can easily omit. Normally, I am not a fan of curry. However, in the chili, it tastes totally different. Can you tell me how you calculated 9 servings? Did you weigh it out or use a cup or something else? Thanks! I just scooped it out in bowls. I am really watching my carbs so when u scooped it out into bowls was it a cup, 2 cups, etc? I already made it and it is fabulous! Glad you enjoyed it! I didn’t measure I just divided it into equal servings. Looks yummy We have it cooking now. How much is a serving size? Thanks! I didn’t measure only scooped out in bowls, but I would guess close to a cup. Made this chili today on this rainy day. It was wonderful! Thanks for the recipe, Kasey! I have never been a chili fan but my husbands been begging me to make some. Also football fans here! I’m doing keto/low carb so I had to find a chili without beans… I have to say, I do love chili now! So so so good!!! Thank you so much for the recipe! Yay!!! I’m so glad you love it!! How big of a pot do you use? I’m not sure if i habe to go buy a bigger one. I usually use my crock pot. It’s just a larger stock pot. I don’t know how big it is. I’m going to try this today in my instant pot with 1 lb ground venison and 1 lb chorizo. So excited! Has anyone tried this in the instant pot? Wondering what the cook time would be! Thanks!! I did not measure the serving size I just divided it into 9 equal servings. I did this recipe in the crock pot. I have made it twice and can’t get over how delicious it is. 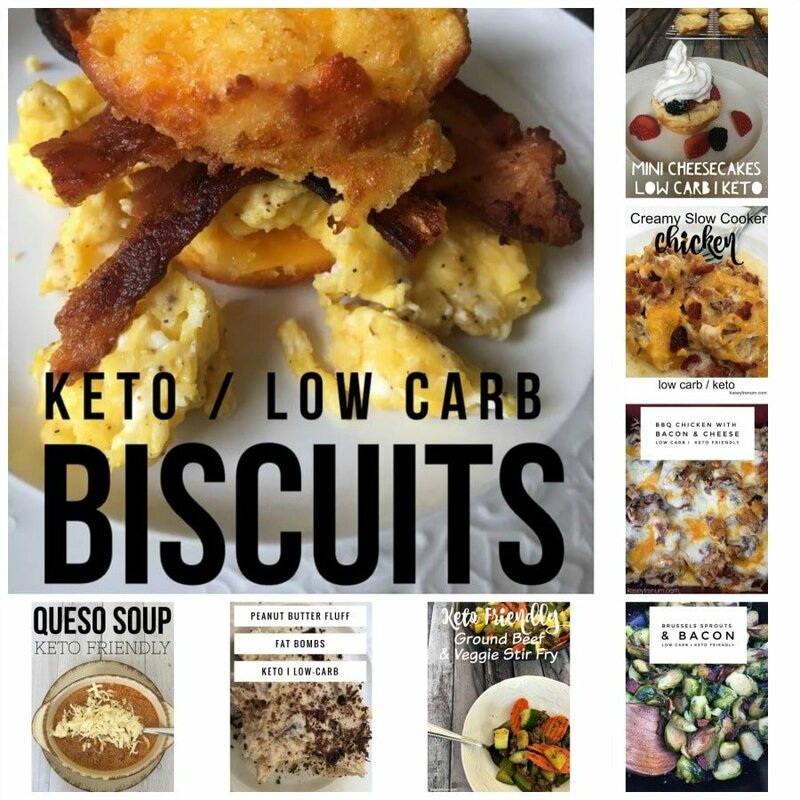 Thank you so much for sharing this recipe – it is by far my favorite chili and the fact that it is Keto is even better!! How long did you cook it for in the crock pot?